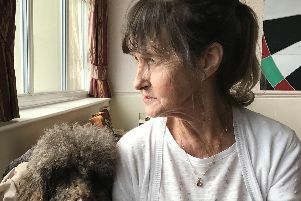 A PENSIONER has been cautioned by police after he admitted shooting birds in his own and neighbouring gardens in Scarborough because he disliked being disturbed by the sound of their calls and songs. North Yorkshire Police received a report last month from residents near the man's home in the Seamer area of Scarborough after they found several dead birds in their garden and heard the sound of an air weapon being fired nearby. When interviewed by police, the man, aged in his seventies, said he believed he was within his rights to shoot the birds if they were causing a nuisance and disturbing him. PC Graham Bilton, who is the wildlife crime officer for North Yorkshire Police in the Scarborough area, said: "Members of the public need to be aware that all wild birds, active nests and eggs are protected within the UK, with very few exceptions which are strictly controlled under licence." He added that people should seek advice from relevant organisations, including the police's specialist wildlife crime officers, the RSPCA or the RSPB if they are in any doubt as to what they can legally do. The man was issued with a police caution for killing non-nchedule one wild birds and firing an air weapon beyond his premises. As a requirement of the caution, the man has had to dispose of the air rifle he used. to shoot the birds.